It is important for designers (or creatives or any “tech person”) to document their creative and technical processes primarily because it helps capture their (design) ideas, decisions and solutions. It helps you communicate those ideas properly to your audience (usually tech enthusiasts and potential clients) and to ensure no information is lost. It proves originality, in some cases. In December 2018, I spoke briefly about creating design documents at Figma Learn Design Bootcamp and I’ve been getting a lot of questions lately around this topic. So, I decided to come up with this article as a way to answer most questions and to explain how to go about it. I hope you enjoy this! 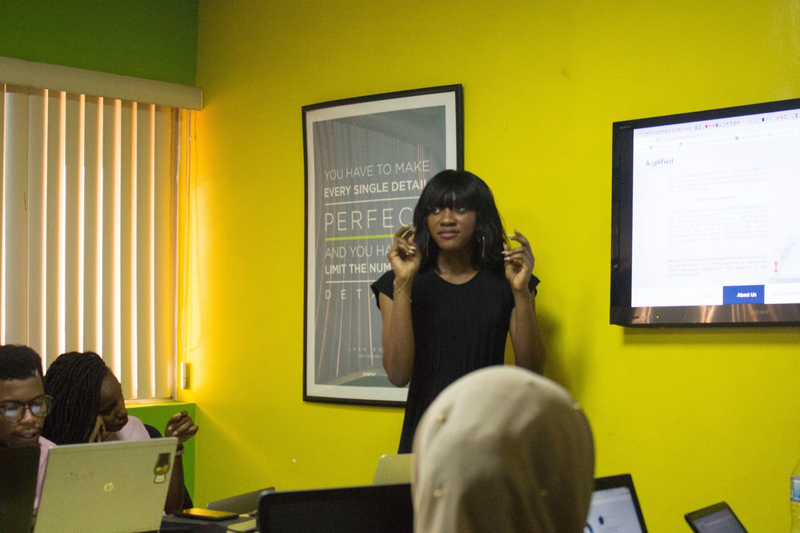 Learn more about Figma Africa — the online community, bootcamps, workshops and other exciting and educative events to help enthusiasts grow their skills and be better designers in Africa. You can also the online community on Slack where you have the opportunity to chat with and learn from Design experts in the space. Gone are the days when designers could only share their designs or creative pieces on only Dribbble and Behance. Right now, due to the rapid adoption of tech and tech startups, creatives now share their masterpiece on more platforms such as Medium, Instagram, Twitter (as a thread), YouTube and a personal portfolio website. What this means is, you can share your process on any platform you feel comfortable on. Take progress pictures, record audio and/or make videos. You can set a timer for 60 minutes to take the progress pictures or record high-quality videos of the projects, either with your phone, a video recorder or a screen recorder. Keep all sketches and design versions. I learned this the hard way; I always throw away designs sketches and delete design versions as I come up with new designs. Don’t do this. Always try to save different versions of the draft files, instead of overriding one file. Always remember to ask for feedback and iterate. You can look around and ask anybody what they think about the document. Start with a captivating one-paragraph summary that highlights the design objective. Tell a story: Storytelling gives you insight into your users, build empathy and access them emotionally. This helps convince your team and customers of the needs for your product. You can decide to use personas and scenarios to highlight the experiences of people using the product. Explain your reasons for the design: This is the whole idea for creating this document in the first place. Give reasons why you need certain features in that new product or why certain colours were used or why certain stages or flows were introduced along the line. Basically, have a conversation with your audience about what you did. At each stage, you can include a video/photo of the app or of a user testing your app, photos of the sketches you made while brainstorming, a gif or video of some interaction you were testing out (this is now possible with Figma app and some other design tools). Be creative, add anything interesting. DON’T forget to ask someone to look through your design document to ensure that you are doing a good job communicating your objectives. Have anything to add or questions? You can leave your comments at the comment section or send me a DM on Twitter and Instagram. If you enjoy this, clap as many times as possible “👏👏” and share with interested designers and other Tech enthusiasts.